We are a nonprofit civic organization with a long history of community service. 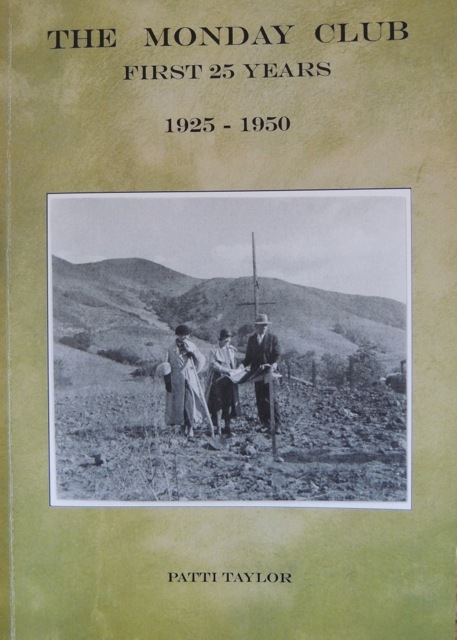 The Club was founded in 1925 and has done many things since it's inception for the citizens of the San Luis Obispo community. We support local charitable causes for women and children. The beautiful historic building was designed by Hearst Castle architect Julia Morgan and constructed in 1933-1934. Led by club President Grace Barneberg, the organization grew by leaps and bounds. In 1928 the membership was up to 350 and the need to have their own clubhouse was apparent. A member's husband was the County Clerk, who alerted them of a property on upper Monterey Street that was available because of default. They quickly voted to purchase the property and raised the $3,900 needed. Club members held rummage sales, card parties, flower shows, fashion shows and dinners. Some even shined the shoes of businessmen at a stand on the corner of Monterey and Chorro Streets! Title to the property was acquired after incorporating on August 14, 1930. Miss Barneberg had visited clubhouses in Berkeley and Oakland designed by prominent San Francisco architect Julia Morgan. At that time, Miss Morgan was working with William Randolph Hearst on the design and construction of his famous San Simeon castle. Cab driver Steve Zegar was known to drive her to San Simeon when she arrived by train in San Luis Obispo. Miss Barneberg prevailed upon Mr. Zegar to inquire whether Miss Morgan might design a women's clubhouse. 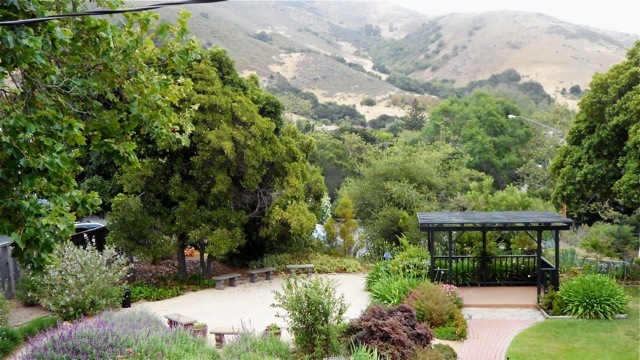 En lieu of charging professional fees Miss Morgan asked if the membership would arrange for her room and board when she came to San Luis Obispo. The club ladies were delighted to help and took turns welcoming Miss Morgan into their homes. Julia Morgan designed the clubhouse to resemble a garden gazebo with an interior awning over the stage area. Large off-white Chinese lanterns were used to light the room. Miss Barneberg's brother donated the flagstone, shipped from the mountains above Merced, for the fireplace and front walkway. Miss Morgan oversaw the construction and painting of the interior. She became fond of the loquat trees during walks around the town and included them in the design of the large wall murals in the main hall. It took almost four years for the building to be completed. 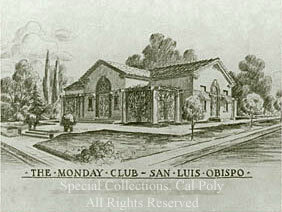 On May 11, 1934, the membership celebrated the dedication of the clubhouse.